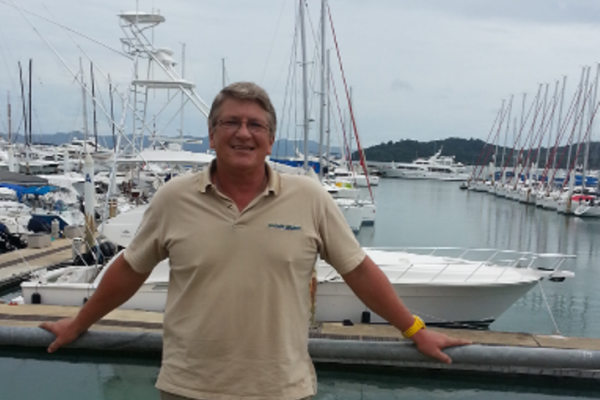 “With more and more yachts basing themselves in Phuket there is a need for managed refit projects. Though there is a skilled workforce here, at times there’s been problems due to language and cultural barriers. Asia Pacific Superyachts (APS) is delighted to announce the new Refit Department and team, headed up by Richard Rhodes. “Richard Rhodes has come on board with APS in Phuket to head up the Refit Department of APS”, announced general manager Gordon Fernandes. “Filling the role of Refit Specialist, Richard gives the captains an experienced specialist in all areas of refit. A refit manager that has the backing and support of a long established company with a proven history of excellent service and meeting the needs of Superyachts coming to Phuket”, enthused Fernandes. “Richard is the right person to head up APS Refit as his history with yachts spans 36 years and includes construction of production and custom yachts from 30’ 9m to 213’ 64.5m. FRP, aluminum and steel and pleasure and commercial vessels. His experience includes: plant manager of production vessels, QA manager and warranty support manager, custom builds and a marine surveyor since 2004, His experience covers vessel systems: plumbing, electrical runs, piping runs and mechanical installations. The APS GM points out available areas of skilled refit work required, which includes: painting (topcoats) hull topsides, superstructures, masts, engine rooms to interiors which includes varnishes for wood interiors and wood exteriors, aluminum, stainless steel and composite specialty repairs. As well, service includes structural to cosmetic repair refit, interior modification (design changes) and repair or replacement of shipboard appliances in galley or engine room. Engineering assistance to shipboard engineers for all systems incorporated in the vessel, i.e., tankage, plumbing, electrical, hydraulics, running gear and propulsion is available. All work is performed to international and vessel’s class agency’s standards (requirements). “My goal and hopes are to help further APS Phuket as the number one superyacht agency and vessel management company in Thailand and Myanmar (Burma). I feel honored to be working with the most diversified group of Thai Nationals and European Nationals. The group in Phuket has well over 100 years’ experience in almost every aspect in the marine industry, how you can beat that?’ asks Gordon Fernandes.